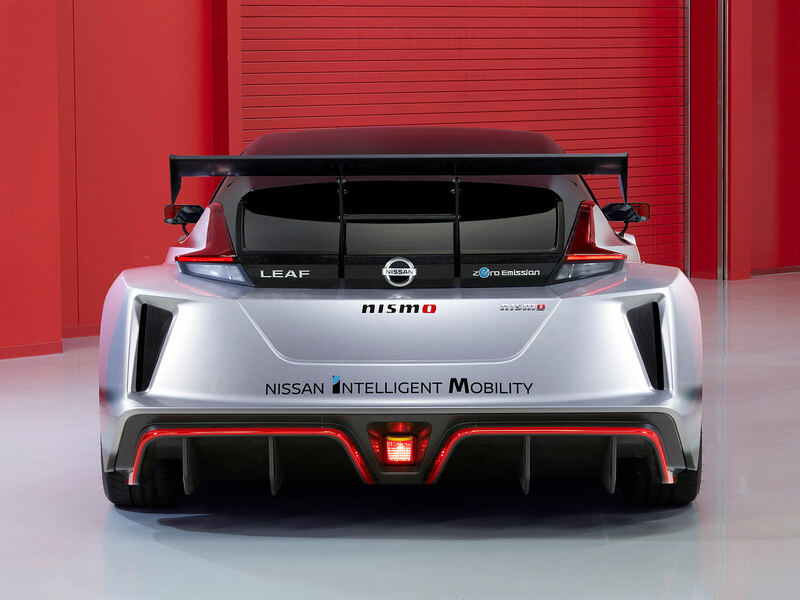 The all-new Nissan LEAF NISMO RC is what an electric race car should look like, and it comes with more than double the maximum power / torque output of its predecessor. 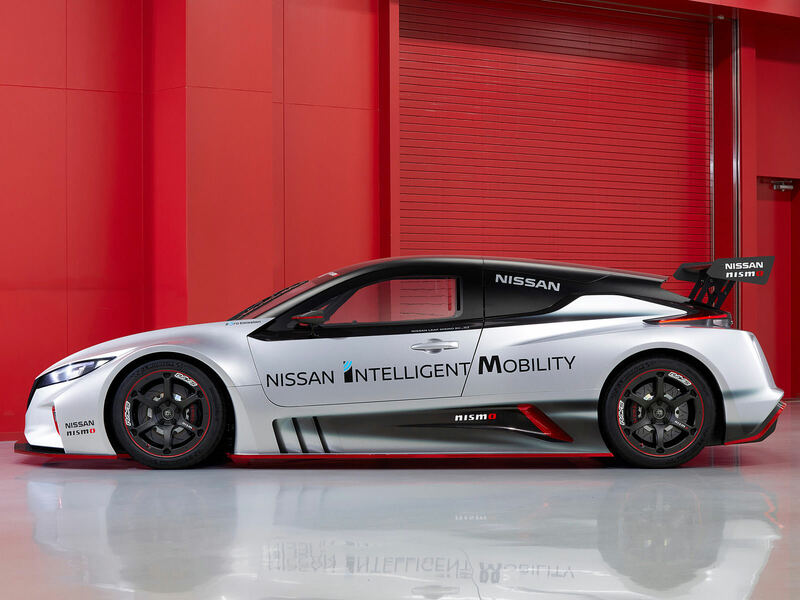 Featuring dual electric motors, all-wheel drive and an aggressive, restyled body shape, this purpose-built car demonstrates how the automaker’s electric vehicle technology can deliver aggressive, yet quiet, zero-emission power. 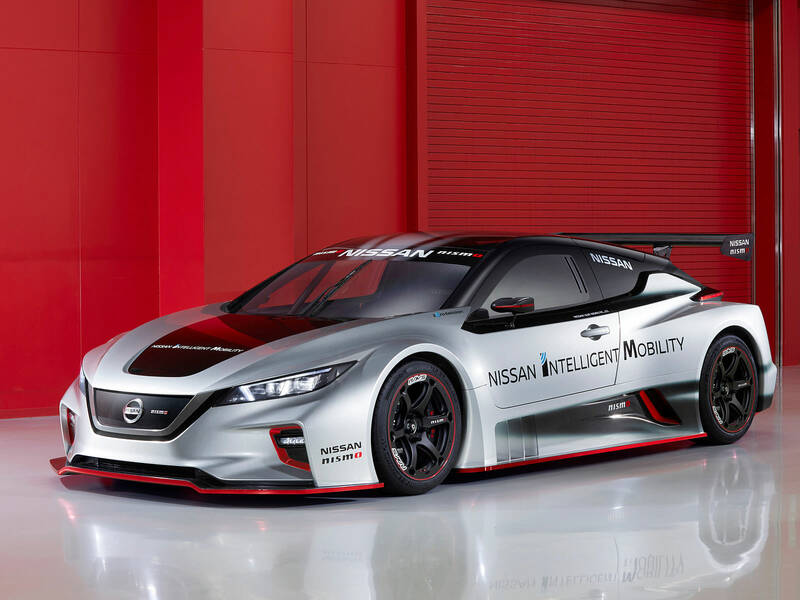 It’s equipped with advanced battery technology and drivetrain components from the Nissan LEAF, with two electric motors at opposite ends of the chassis producing 240 kilowatts combined (120 kW each) and an astounding 640 Nm of instant torque to the wheels. Read more for an additional video, pictures and information. 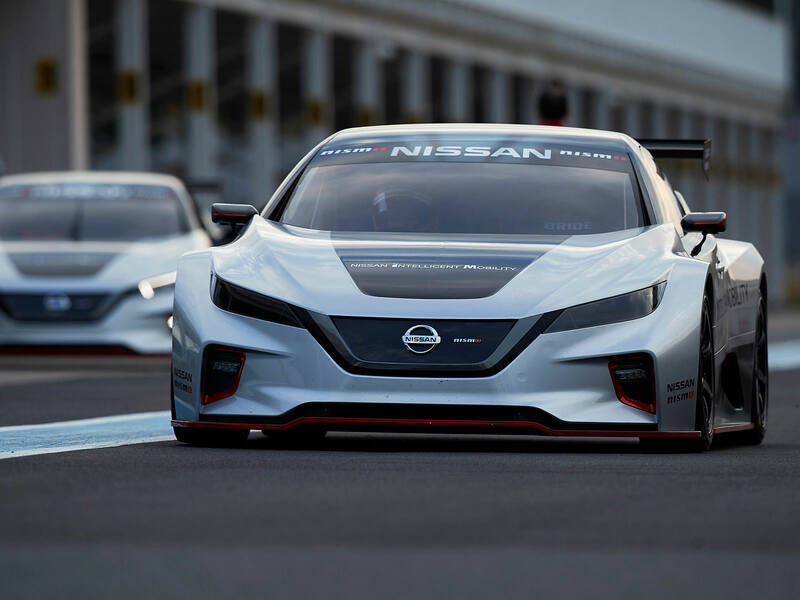 The new all-wheel-drive system gives the LEAF NISMO RC extreme cornering prowess, while power is managed independently to each axle, instantly supplying torque to the tire with the most grip to let the car maneuver quickly around the track. Similar to its predecessor, chassis weight balance has been optimized by the mid-ship location of the battery pack, with the electric motors and inverters ideally placed over the front and rear tires. 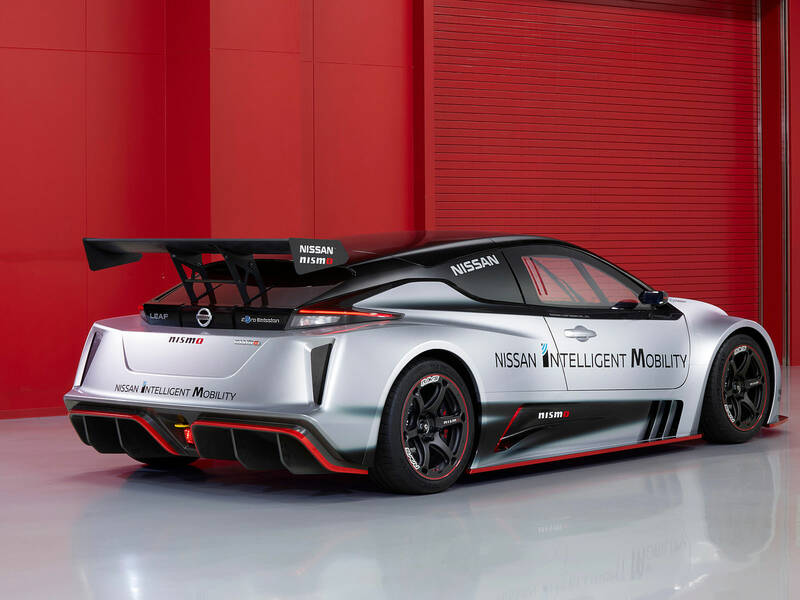 A host of lightweight components and a full carbon-fiber racing monocoque structure allow it to tip the scales at just 1,220 kilograms, giving the vehicle an impressive power-to-weight ratio. 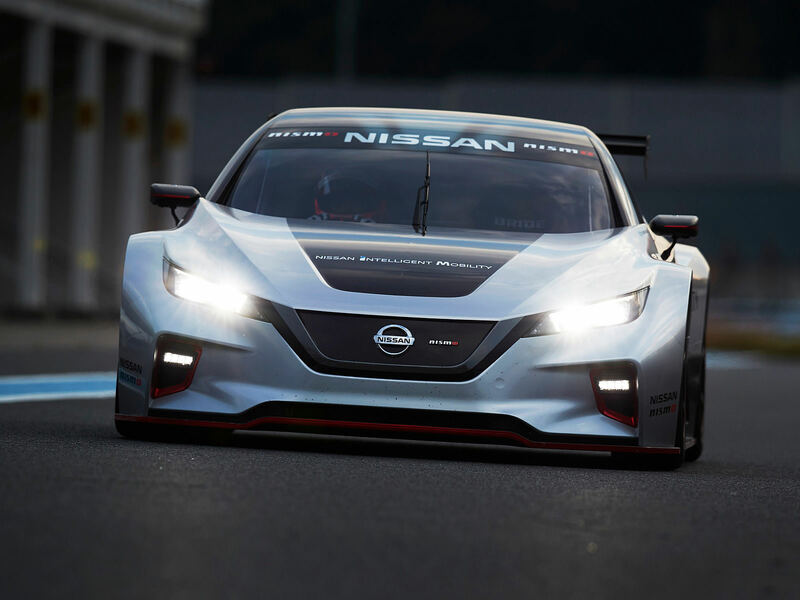 Outside, a long hood and Nissan’s signature V-motion grille highlight the totally restyled front end. 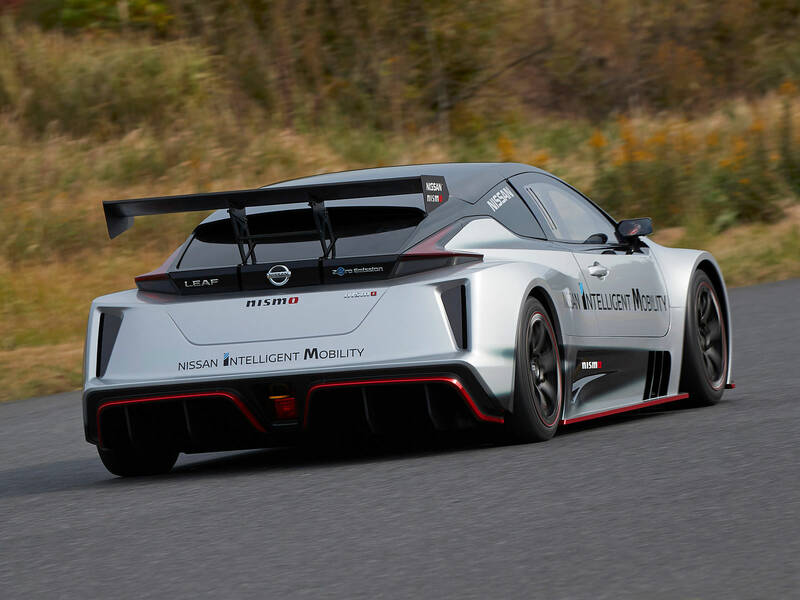 The car’s three-piece bodywork includes removable front / rear sections, fixed windows, LED headlights / tail lights, and an adjustable rear wing for maximum downforce at the track. This model is slightly longer than its predecessor, with an overall length of 4,546 millimeters as well as a wheelbase that measures 2,750 millimeters. It sits wide and low to the ground, with its wind-cutting form measuring only 1,212 millimeters from roof to road – more than 300 millimeters less than the production model.